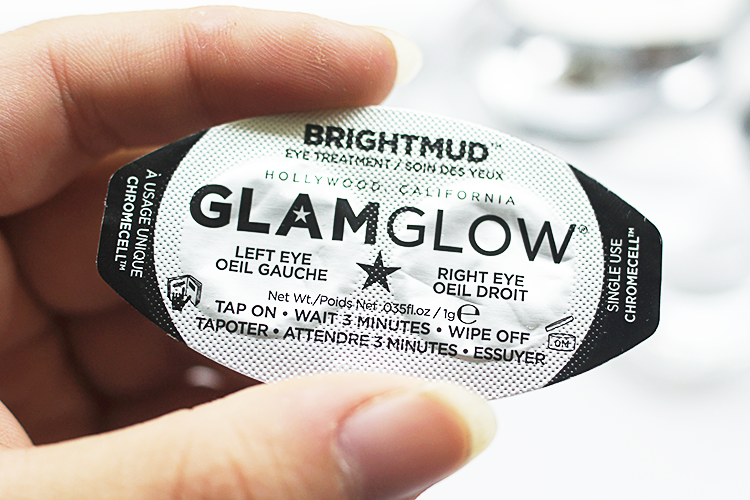 Rodial Glamglow Brightmud Eye Treatment. Undereye darkness is probably my biggest problem, so much so that I've essentially given up trying. I don't sleep, seem to live in a stress-bubble, get allergies like hayfever and it's in my genetics (well thanks for that hand!) and I've tried box-fuls of creams, serums and concealers without much success, so I've resigned myself to looking like a panda (although I can only wish I was as cute). But all hope may not now be lost?! After watching one of Miss Donelda's videos and seeing these Glamglow fandangled space pods and knew I had to have them. Of course I didn't bother reading any of the entirely useful information in the booklet, I just ripped the box open like a heathen. Out tumbled these shiny, silver, domed nuggets. 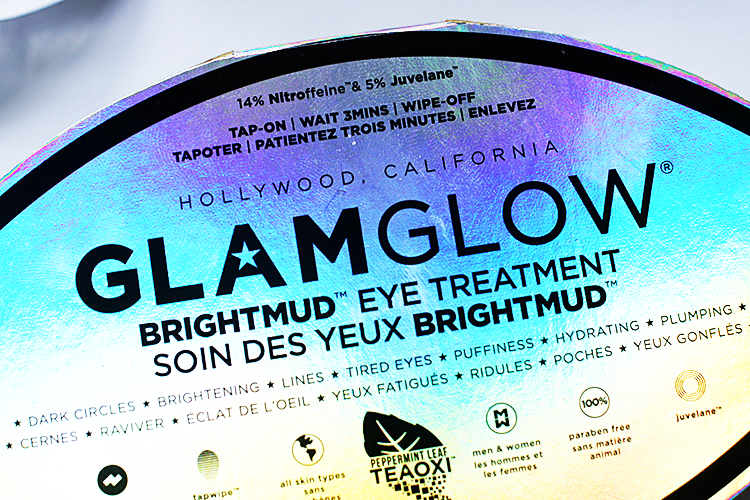 Rodial's Glamglow range came about for professional use in the backstages of Hollywood, so it's all about quick fixes. 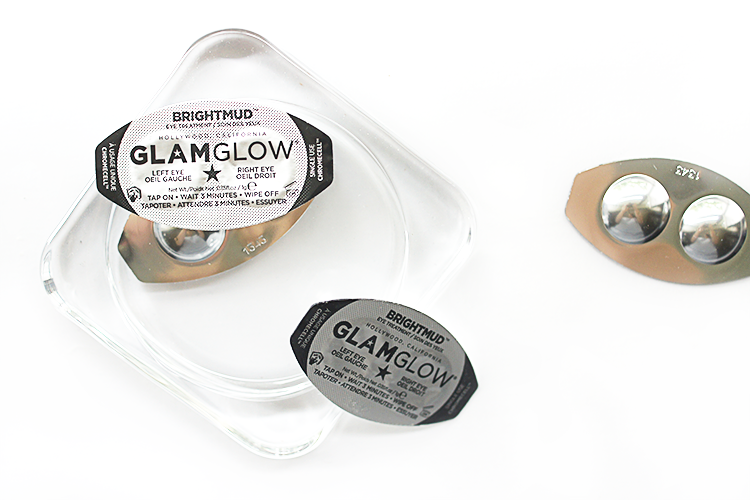 Their Brightmud pods are a temporary collagen builder that promise to minimise puffiness, dark circles and the look of fine lines whilst hydrating and brightening the area (I like to call them my powerpods). Bentonites and other natural materials absorb toxins (I go more into this process in my Ancient Clay Mask review, which btw is arguably my favourite beauty product in life.) whilst simultaneously pumping the delicate area under the eye with nutrients and hydration. 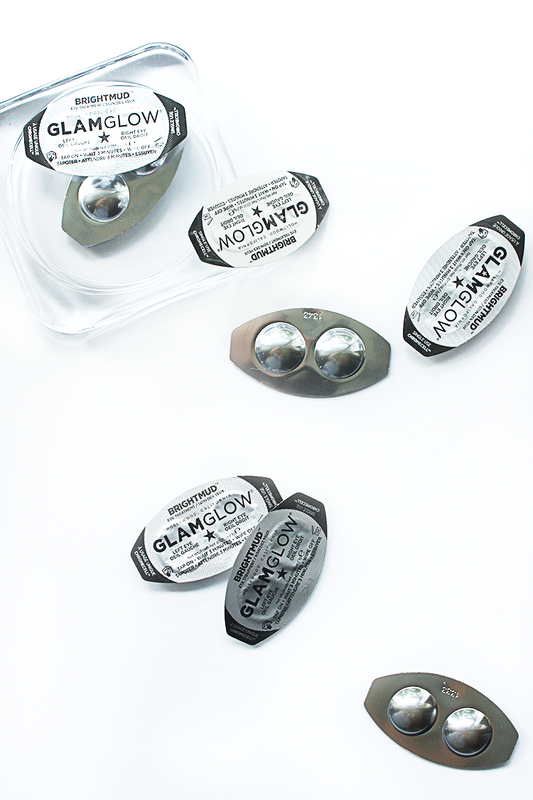 Each little pod (and you get 12 altogether) comes with 2 dips, 1 for the left eye and 1, obviously, for the right, however, there's more than enough product in only 1 of the halves for a whole session (undereye and around the whole orbital too, and it's no less effective) so you're essentially, well you are, getting twice as many uses. I love, love, love this product, and I don't care if it's marketed for special occasions only, I'm going to use it with abandon! It even gets to work on my seemingly untreatable under eye circles so there must be hope for us all. You might also enjoy my Morning Beauty Regime, Rodial's Tinted Moisturiser review or a review of my Favourite Face Mask!